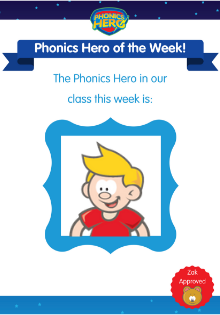 Many of you may recognise me, even though we’ve never met; I’m Michelle, the face you see when you login to Phonics Hero every day. As an Account Manager I look after hundreds of schools, taking them through the setup process and then holding their hands throughout the year to make sure they are getting the best of out the program. In this month’s blog post I want to share with what can you do to get the best engagement amongst your class and their families. Once you have everyone engaged and using the program regularly, that is when you see the true benefits of Phonics Hero and results flourish. Distributing Logins – Shout About it! I met with one of our most successful schools recently and what the principal kept telling me was that communication between the school and parents was the key to the hugely successful results they were seeing. Print them off and ensure they are always readily available to the children: stick them on the front of their diaries or Reading Records, make lanyards or have them on a keychain by the computer/iPad station. We have a letter already written that you can use to send home, with all the details (including technical requirements) they would need. The letter is available in Spanish and Simplified Chinese too. Arguably the most effective method of communication nowadays – use our image to tell your parents their child has a login through Facebook, Twitter or the school communication portal you use. Stick our free poster on your classroom door, on your notice board or by the coat pegs, as a gentle daily reminder to children and parents that they have their own login to use at home. If children use the games in the classroom, they will use their ‘pester power’ to push their parents to play at home. Here are the best ways you can play in class. 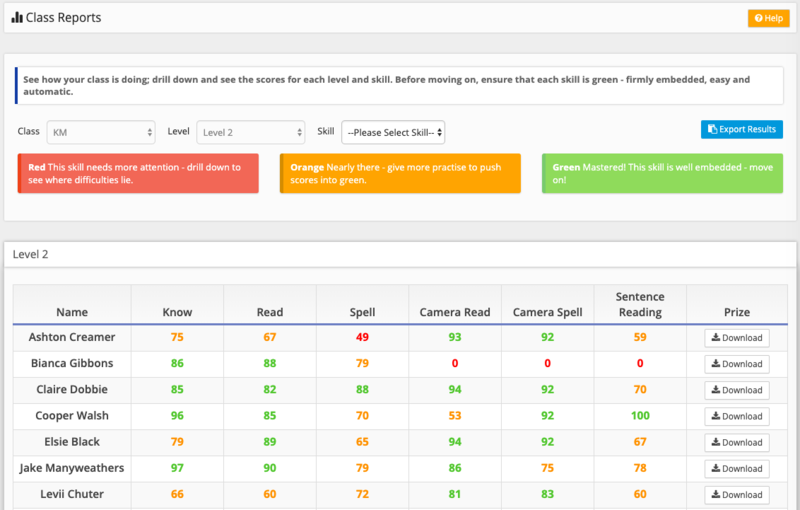 Incorporate the games into your phonics lessons using your Teacher Account as a whole class activity. Or use it as one of your rotational activities while you are working with a group on Guided Reading. “In school, I try to use the programme every day for at least 10 minutes. We access it using the iPads and children use headphones so that they’re working independently. They always have a pencil and paper or a whiteboard ready so that they can practise writing the words that they are unsure of before submitting their answer. Click ‘Remember Me’ and all your five-year-old-logging-in-problems will disappear! Improve computer and phonics skills all at once! Like the app, teachers can login on a computer, with their teacher credentials and access each individual child’s account. 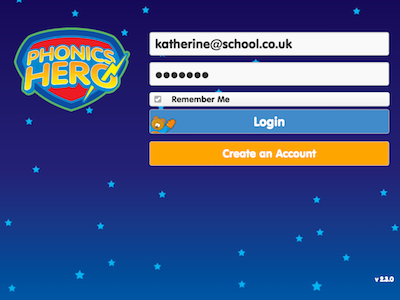 Login to the website, click ‘Play Games’ and launch each child’s account directly. 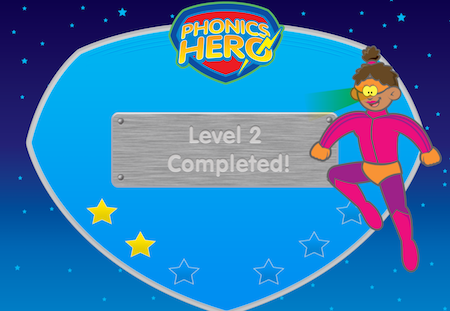 We’ve found that 15 minutes of Phonics Hero play a day proves effective in a child’s reading and spelling progression. You can send home our Star Chart to keep track of their play time . Share the Results and Celebrate! Don’t be afraid to share the reports with the children. This is particularly useful in a situation where you want a child to go back and repeat content but they don’t understand why as they’ve “played that game already”. The reports are colour coded which means it’s easy for them to understand. Explain to them that they need to get to the “Green Superhero Status” before they can progress and you’ll soon find them working harder to push that score up and better themselves. I login to my Teacher Account and load the reporting page, which I actively share with the children. They love the ‘traffic light’ system and ask me “am I on green yet?” or “how am I doing?”. I even included this as part of my Phonics Hero display in the classroom (which the children love), along with arrows indicating their grouping and levels so the children can truly understand how they’re doing. The report card: green demonstrates mastery at the skill. We have a bank of certificates ready for you to use. Reward those who are doing well; whether that’s in star points, score achieved or games played, they’ll really appreciate the acknowledgement – and let’s face it, which child doesn’t like receiving a certificate? 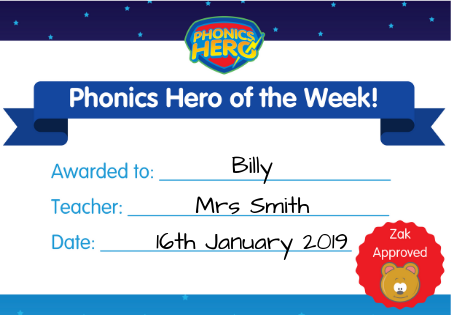 My favourite has to to be the “Phonics Hero of the Week”, where children are rewarded for any particular reason you choose, with the winner getting their picture put up in the Hero Hall of Fame. Year group or whole school assemblies are another great opportunity to reward participation. Children, parents and teachers also have access to level completion certificates. To access these: login, click on ‘Reporting’, then ‘Individual Reports’ and on the right hand side of the table you will see ‘Certificates’. 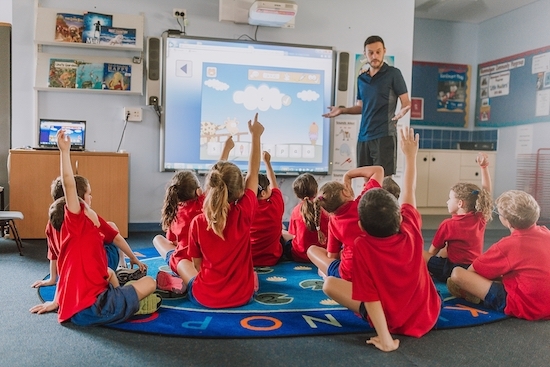 Hear from the horse’s mouth how Phonics Hero was implemented in a school in the UK and Australia with our case studies. We’d love to hear what other methods you have used to encourage use of your online resources. Post your comments below. Michelle helps schools make the Phonics Hero magic happen! Having worked with schools for over 6 years and even being married to a Primary School Teacher – Michelle really understands the intricacies of how schools get things done. 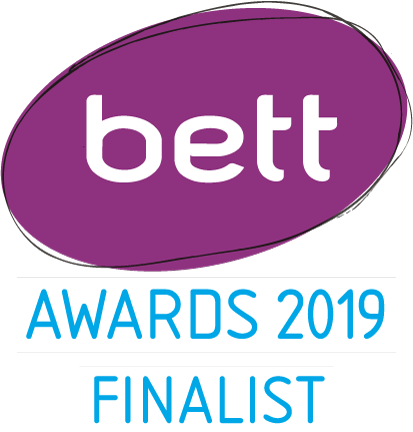 As the Phonics Hero Lead Account Manager, she works with teachers getting them started and guiding them through how to get the best from the platform.